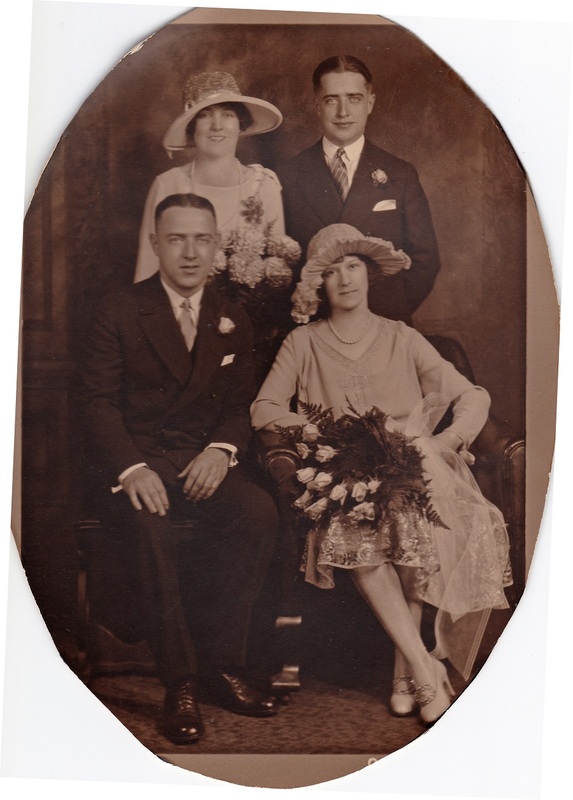 John and Frances' wedding in 1925. The newspaper account of the wedding stated Frances wore a gray georgette gown trimmed with silver lace, with a matching picture hat, and she carried Killarney roses. John's sister Marie was Frances' only attendant, while John's brother Eugene was his best man. Marie wore a blue georgette dress with matching picture hat and held pink chrysanthemums. John and Frances honeymooned in Atlantic City.